They’re movers and shakers. Their contributions have changed and continue to change the nature of travel, both in Canada and around the world. In this week’s issue, Canadian Travel Press’ series of profiles on Women in Travel continues for the last instalment of 2017, featuring Booking.com’s CEO Gillian Tans. 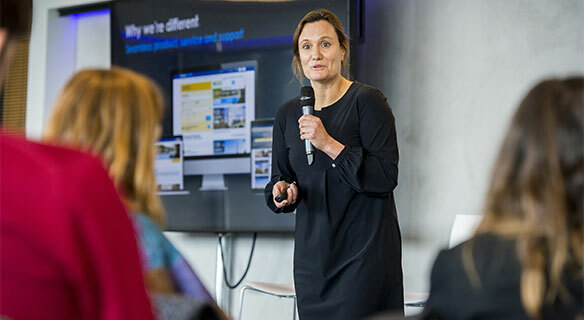 Although Booking.com is now one of the largest travel e-commerce companies in the world, when Gillian Tans left a successful job in the hotel sector to join the Amsterdam-headquartered company, it was still in the start-up stages. Along the same lines, her top advice for women thinking of getting into the tech and travel industry is to take risks and not be afraid of failure. “It can be a difficult step, but I hope women will take more risks and understand that failure often leads to growth,” says Tans, who stems from a background in the hotel industry as the product manager at Golden Tulip Hotels and the InterContinental Hotel Group. As for her own mentors, she credits her parents for inspiring her to work hard and create opportunities for others through her successes. 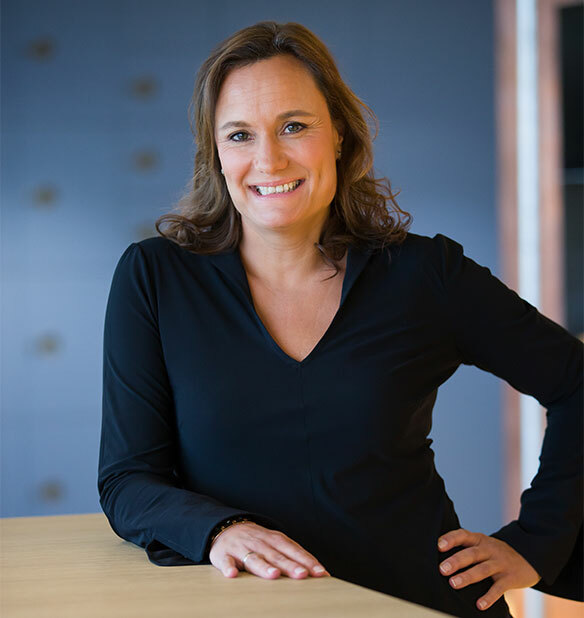 Today as the CEO of Booking.com, working in the fast-paced and rapidly evolving world of the Internet, she says no two days on the job are ever the same. In her role, she finds it’s important for the company to have an open culture where people aren’t afraid to challenge each other and have fun. Her favourite part of the job entails truly believing in the product and giving customers a wide variety of choices for places to stay around the world, so that they can have memorable travel experiences. Looking ahead to 2018, she says the continued increase in wellness travel, group friend trips, consumers revisiting their favourite childhood destinations, and pop culture trips to destinations travellers have become familiar with through their favourite TV shows, movies and music videos, such as Croatia and Iceland, inspired by Game of Thrones, are among the top travel themes. On the technology side, she feels the travel space will continue to innovate with even more people relying on smartphones and artificial intelligence to research, book and plan travel. Earlier this year, the company, which has a global workforce with 150 different nationalities, more than half of which are women, launched the Women In Tech Mentor Programme to not only make Booking.com one of the most diverse and gender-balanced tech companies in the world, but also to develop programming that helps with diversity outside its walls. Some of the other ways the company is doing its part to increase female participation in technology is through scholarships and the launch of the Technology Playmaker Awards, which celebrate and recognize women at all stages of their career who have disrupted and continue to transform business, industries and communities through the use of technology. Being in a competitive industry and leading a company with the size and scale of Booking.com, also brings along some challenges. While they may want to offer one thing, if the customer wants another, she says they need to adapt it to meet their needs. As for the future, she says the company’s mission is to empower people to experience the world. Where are you based? How often are you travelling for work? I am based in our Amsterdam headquarters and travel about five times a month, visiting around 20 countries per year. Two of my favourites are Asia and New York for the culture and cuisine. There are still so many places in China that I’d like to visit. I think you could spend an entire lifetime exploring China and never be done due to how vast and diverse the country is with such natural beauty, bustling cities and amazing food. Exploring more of China is on my personal bucket list. Share one of your favourite travel memories? I was in the Maldives with my husband, and we went to an exclusive lobster restaurant in the middle of a beautiful reef. Before dinner, we put our toes in the water, and I slipped and fell in the water in front of the entire restaurant. More like my most embarrassing travel memories, but the dinner (after I changed) was amazing and the ambience was incredible. What have been some of your most rewarding career moments to date? The most rewarding moments are sometimes the big moments – like major milestones in our company’s growth, but also some of the smaller ones… like hearing a B&B owner in southern Italy talk about she couldn’t have a business without Booking.com That is what keeps me and our team of 15,000 plus people going every day. Booking.com has been so successful because we’ve been thinking and building on an international level from day one and put customers at the centre of everything we do. Our platform was built to accommodate multiple languages from the beginning, so that it could be used by a global audience. We also offer more diverse inventory than any other travel company in the world, with more than 30 categories – homes, apartments, villas, hotels, boats, even treehouses, and igloos.